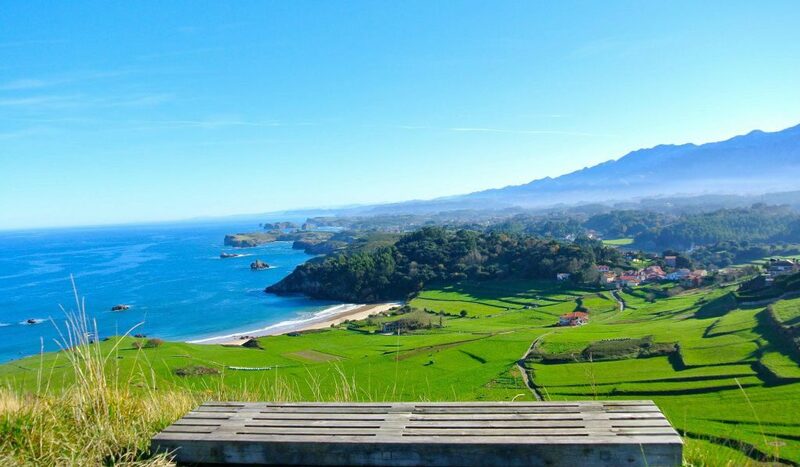 During your stay at La Calma, your Boutique B&B in Ribadesella Asturias, you will be able to enjoy the natural beauty that Northern Spain and the Green Coast can offer you with both beaches and mountains. Ribadesella also has an ideal location that allows you to explore the whole area easily. Known as the Green Coast of Spain, is located in the Northern Coast of Spain between Cantabria and Galicia. There are so many reasons to visit this area including its stunning natural scenery, culture and gastronomy. As a natural setting you just need to see some of the picture we show you on this website to appreciate its delightful beauty. There are few places in the world that offer you a natural setting that combines sea, green countryside, rivers and mountains which seem like a divine work of art.